The Current Situation Urgently Needs Your Help! Today, communities are being transformed due to the work we are doing in the Ugandan back country. Every home used to have a shrine for ancestor worship, but they have embraced the power of Christ and burnt their shrines. People here no longer take their wealth (chicken, goats, cows, etc.) to witch doctors. Their children seldom die young and many are now going to school. But the situation remains critical, and we desperately need your help in a number of areas! Please review the list of desperate needs below, and if you feel the Lord is directing you, please contribute toward meeting one of these needs. In some cases you may make a one-time donation, in other cases we are asking for monthly support partners. Donations are executed through PayPal. When you click on “Donate”, you will be transferred to PayPal, and given the option of donating through a PayPal account, or your credit/debit card. Monthly support partners are requested to use their existing PayPal account, or set up a PayPal account (if you don’t have one). Then your monthly pledge is deducted from your bank/credit card account, and processed through your PayPal account to Christ Transformation Ministries. We receive your gift, and let you know how your donation was put to work. One again, thank you for your support. YOU are a member of God’s body here on earth, and through your gift we are transforming Uganda – Africa – and eventually the world for Jesus! May God richly bless you! CTM has been used mightily by God over the past several years. Over 130 small villages churches have been planted since 2010, with 28 new church plants in the last 2 years alone! Transform Uganda III was conducted during the last 2 weeks of July 2017, with 12 new churches planted in the jungle of northern Uganda. Hundreds came to Christ, and new pastors were set in these villages. But now WE MUST GO BACK each month to help encourage and train the pastors, bring teaching materials and bibles for believers, and to attend to the needs of these new baby churches. If we do not, these churches will wither and die – and the enemy will again creep in, and try to undo all that we have accomplished through the power of His might! It takes about $150 per trip to spend a day driving out to each village, when one accounts for fuel for the 4 hour round trip, a driver, food, and assistants. Will you consider donating $10 per month to help offset the costs of keeping these new churches alive and growing? Your tax deductible donation of $10 per month, along with 14 other supporters, will keep a village church alive and growing! Click below to enter your donation amount, and we will ensure that your gift is pooled with others to help support the monthly trips to support and grow these young churches and their communities. We now have plants over 130 small villages churches across Uganda – 28 in the last 2 years alone! You can can make a direct impact on growing the kingdom of God by providing monthly support to one of these pastors. 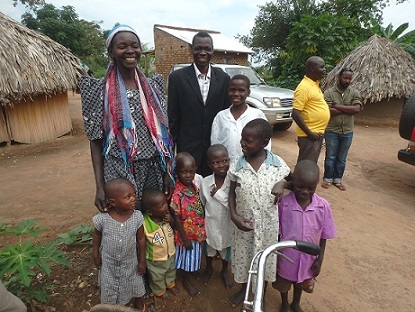 It takes only $33 per month to support a village pastor and his/her family! Would you prayerfully consider a tax deductible donation of $33 a month to support a pastor and his/her family? We will allocate your monthly donation to support a specific pastor, and send you information about who the funds are going to! Bibles and Teaching Materials Needed! 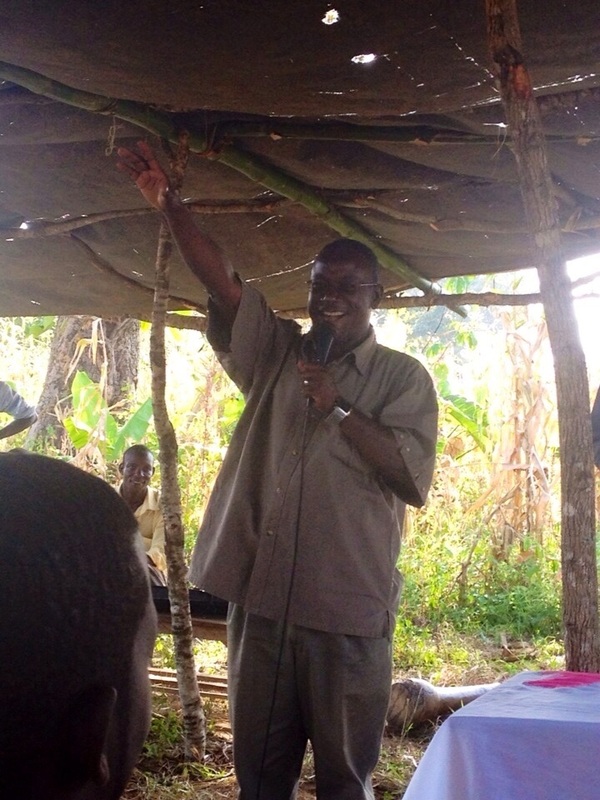 During the last two years CTM has been able to plant 28 new churches throughout the back country of Uganda. Praise the Lord! But the new pastors of these churches are without basic materials to help them develop. And many of the new believers have no bible! CTM has created three (3) valuable books to help these church leaders grow in faith, in in turn, this will help the local churches grow and develop. The books are : 1) “Following Jesus”, which is a 10 week course on being a leader; 2) “Talking to God“, which teaches one how to pray, and 3) “Bring People to Jesus”, which teaches a new pastor the skills of evangelism. These three books are about $13. A bible in the local language costs about $13 as well. Your gift of $26 will purchase a bible and one set of teaching materials for a new pastor! Please give to support the copy and distribution of a bible and these materials to the leaders of these newly planted churches. May God richly bless you! We urgently need bicycles for the local pastors in these new churches, so that they may get around freely and easily in their village, and serve their members effectively. 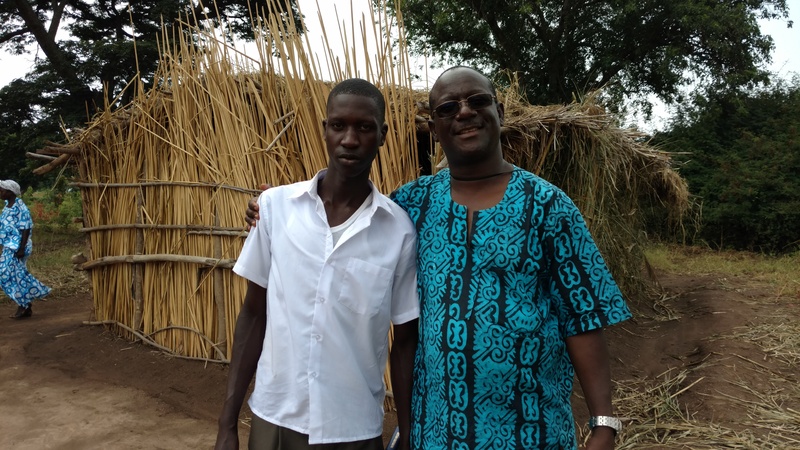 Your gift of $75 will buy a bicycle for a pastor in a village. 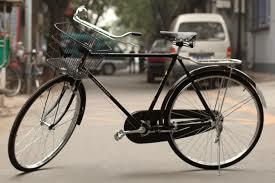 Please see if the Lord leads you to donate to help supply back bicycle transportation for the new local pastors! Please note that your contribution should be directed toward this need when you contribute. We will see that it gets applied to supplying a bicycle to a pastor, and send you the confirmation! 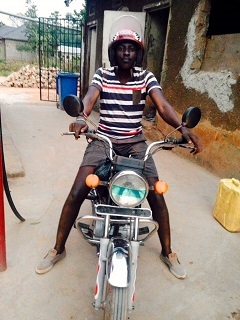 Your tax deductible gift of $75 will purchase a sturdy new bicycle for a village pastor! You will be enabling him/her to travel around the village quickly and easily, ministering to the believers that need to grow in Christ. May God richly bless you! Two of the larger villages are Kisanga, and Nabigaga. Each of these villages has about a hundred church members, and the village pastor has to make the rounds on foot now! A good used scooter bike for a pastor of one of these larger villages costs about $900. Won’t you consider donating to equip a pastor with a scooter? Your tax deductible gift of $900 will purchase a reliable scooter for a pastor of one of these larger villages! You will be enabling him/her to travel around the village quickly and easily, ministering to the believers that need to grow in Christ. We will even send you the picture of the pastor, and the village that benefits from your gift! This past year we were able to drill two (2) fresh water wells (boreholes) in two of the larger villages – Kisanga, and Nabigaga. Water is like gold to these communities – without fresh, clear water, the communities will bring virus and disease stricken water from nearby streams, and the members of the community will suffer and die of various diseases as a result. We still have several communities with NO ACCESS to fresh water – and these communities are being impacted – villages getting sick as a result. The cost of a deep water well is about $6,000 – this pays for the surveying to be done, the rig to be trucked into the village, and a local engineering company to drill the well, cap it, and deliver a working well. Sixty people giving $100 will provide a borehole to impact hundreds of God’s people in a village community! But the impact is HUGE for the kingdom of God! If you would like to give a tax deductible donation – $100, $200 or more – toward drilling our next village well to supply families with clean, clear water, please click below and enter your amount. We will apply your donation toward our next well (borehole), and let you know exactly where that is to be drilled, when, and the results of your giving! Support for the Jesus Film Ministry! We currently show the Jesus Film in any new village we are trying to reach for Christ, as well as showing it on return to some villages. The Jesus Film is always shown in the local language, so the villagers can understand it. It is one of the most POWERFUL tools we have to show people what Jesus went through to make a way for them to know and be with their Maker forever. We currently have (2) projectors, (2) screens, (2) laptops and (2) generators. In this way we have the ability to show the film in two place at the same time if need be (this is what we did during the 2017 outreach. But we have no truck to transport the equipment! We have to rent a truck to get the equipment out the the village, which can cost $200 per day – due to the fuel, the cost of a driver, and the truck rental itself. Showing the film ten times during the year costs $2,000! Through the rural areas of Uganda, there is not much in the way of industry, and thus a demand for factory or business workers. The economy is based on agriculture, and so CTM is working to help build “self-sustaining” communities in the rural communities by teach improved agricultural skills.. Through our skills-building ministry, we are teaching people how to plant and grow gardens; how to care for and breed chickens, cows, and goats. Into 2018, we plan to expand into workshops on carpentry skills; medical assistant skills, and more. We need your support! It costs money for seed, for the initial cow or chickens; and to bring volunteers into the community for a workshop. 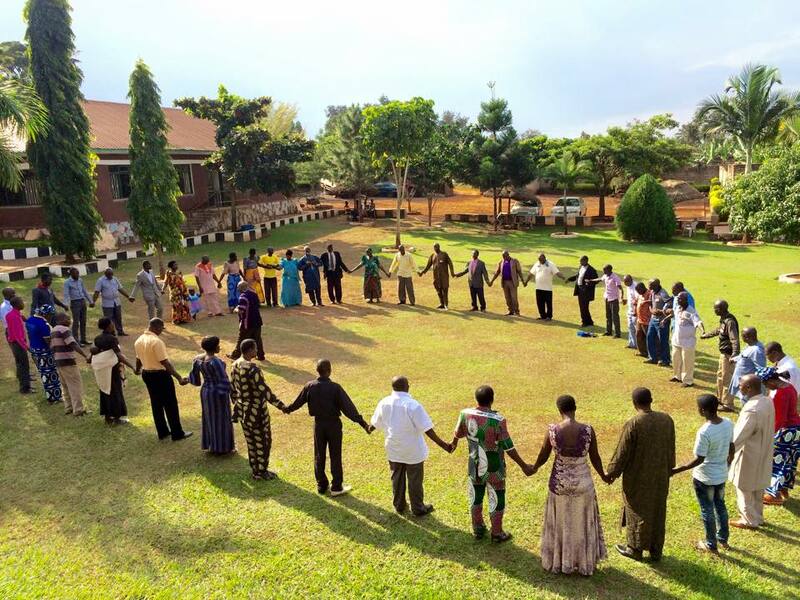 Please partner with us to help build our communities, so that we can transform entire communities throughout Uganda – spiritually first, and of course then economically in this most basic way. 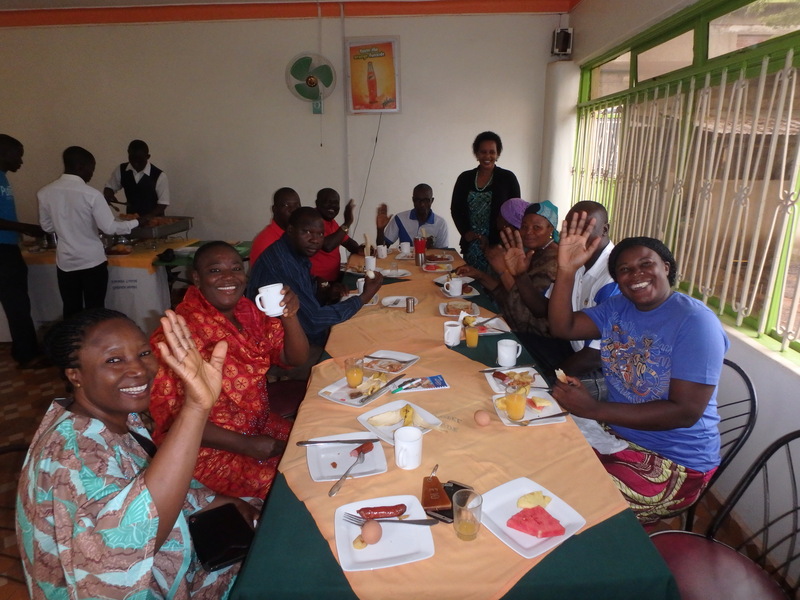 Click below to give your tax deductible donation toward our skills-building ministry, and you will be helping us to equip the Ugandan youth with valuable skills for the future. God bless you! Five smaller tents (two for staff to sleep, one for the prayer team, one to serve as a clinic and one for equipment (power generator, film projectors, PA system, musical equipment, video equipment and others). All these would be transported in a big truck that would also a carry a platform, bibles, discipleship materials, food, water, fuel, and more, as well as the crew. In addition to the big truck, we would need a small Van or two to reach surrounding villages with the Jesus film as the main outreach center continues. A team would go to a place and camp there for two to three weeks, do different ministry outreaches and build a church structure, then leave a small team to stay there for about two months helping set up the CTC in that community. With over 20 years in practical rural ministry and over ten years as a ministry design consultant, I am sure this strategy will be used by God to impact and transform communities. A team of this nature will cost between $70,000 and $100,000. The resulting impact would b e tremendous. Our dream is to reach the entire Africa (rural areas) with the gospel of Jesus Christ and transform complete communities. This will need many Mobile Ministry Teams in all the countries. We will then have Country Overseers. For this to happen, we need a helicopter. 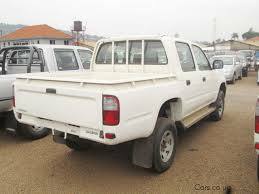 We all know that it is impossible to reach all rural areas of Africa by road. I was in the Democratic Republic of Congo (DRC) in June 2011 and I learned that even major cities there do not have roads connecting them. Only the rich people fly between the cities. If Christ wanted to physically reach these people, He would fly there with His disciples in a helicopter. You and I are the physical body of Christ on earth. I personally have faith that Jesus Christ, who gave me this vision, will give me the means to accomplish it. In Closing, We THANK YOU for Your Support! If you need more information or you want to come and visit us personally, please contact us. We love you and God loves you too!